There is controversy over the film Oro, which narrates the gruesome massacre of four small-scale gold miners in Barangay Gata, CamarinesSur last March 22, 2014. It is a recounting of the incident of a group formed to stop illegal logging and mining activities, and which is connected to the provincial government, armed and pretending to be environmentalists, causing tension between people fighting for their livelihood while the other using the guise of 'environmental protection' to take over operations. 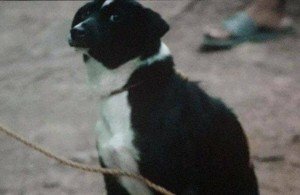 In the movie, we learn later that a dog was slaughtered on camera for a scene. It sparked outrage. It ought to. Our myopic sense of devaluing the life of both people and animals for our petty pursuit of gold, power and hedonistic satisfaction under a capitalist-consumer society commodifies human and non-human life. The death of both human and non-human life is tragic. Environmental plunder that puts gold over people is unjust; in the same way killing dogs for the sake of artistic authenticty is equally wrong. The challenge is for all of us to recognize life's sanctity as something that transcends beyond the human specie.